New practice will be enhanced by IBM Watson and Salesforce Einstein. 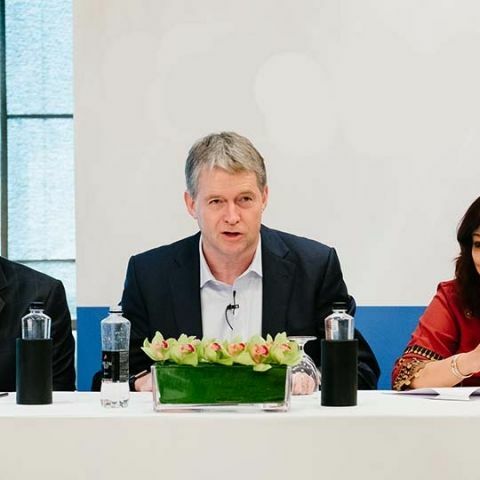 IBM and their Salesforce consulting agency, Bluewolf, today announced the launch of a new practice aimed at enhancing digital transformation in India. This new practice will bring together Salesforce's Einstein (AI) and IBM's Watson (AI) to improve their offerings. Mumbai, 13th February 2018: Global Salesforce consulting agency Bluewolf, an IBM Company, today announced the launch of a new practice to drive digital transformation and customer experience locally in India with Salesforce, the global leader in CRM. The dedicated practice will leverage Bluewolf’s deep expertise and delivery capabilities in Salesforce, augmented intelligence (AI), and innovation strategy, combined with IBM’s leadership in cognitive and design-thinking, to help clients - of any industry - connect customer experience to value. Bluewolf, an IBM Company, is the global Salesforce consulting agency committed to creating customer and employee experiences that drive a return on innovation. We enable companies of any size and industry to deliver deeper, personalized customer moments with Augmented Intelligence (AI) as a competitive advantage–now. Using our patented project delivery solution, Bluewolf Sightline™, we reduce deployment time and get results faster with less risk for customers worldwide, such as T-Mobile, Mercedes-Benz, and AmerisourceBergen.